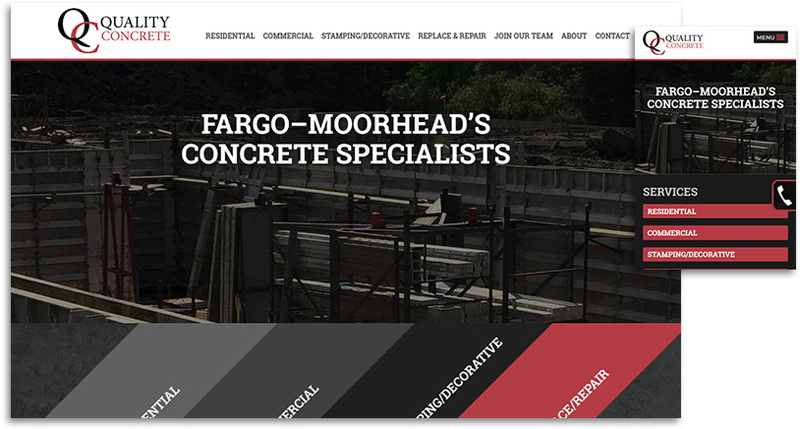 Quality Concrete provides residential and commercial concrete services to the Fargo–Moorhead and surrounding areas including stamping/decorative work and replacement and repair. Having already been a client with us for years, Quality Concrete was looking to update their design and refine their project and service content. We worked closely with them to develop a more streamlined layout and narrative that focused more directly on their service offerings, and we also implemented a full installation of the Workforce General job recruitment application.